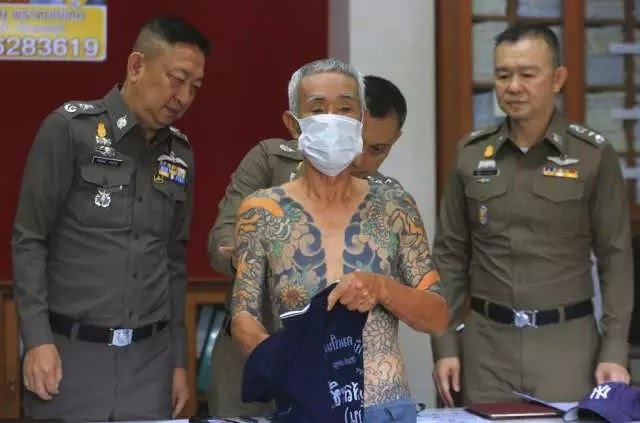 74-year-old Shigeharu Shirai was arrested in Lopburi province, 150 km north of Bangkok. Police said he had confessed to being part of the Yamaguchi-gumi gang within Japan’s Yakuza. 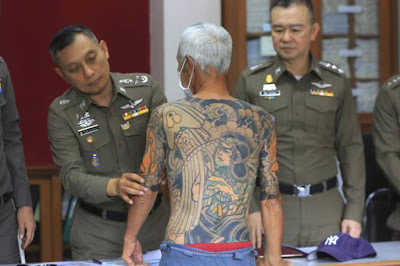 He is accused of a gang murder in Japan 15 years ago. His arrest came after pictures of his tattoos went viral on social media. Shirai will be charged with illegally entering Thailand and then deported to Japan to face the murder charges.